Charles de Gaulle Airport / Photo by kulp. Feature photo by xiaming. 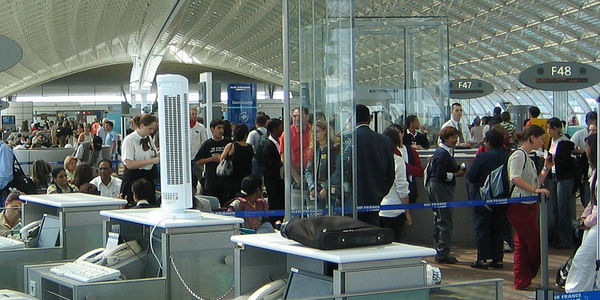 Traveling can be fun, but not when you’re passing through these airports. PASSING THROUGH an area of sleep deprived, jet lagged and irate people is never pleasant, especially if you feel the same way yourself. While some airports are spending millions to improve the passenger experience, it’s clear that some airports are falling well behind. 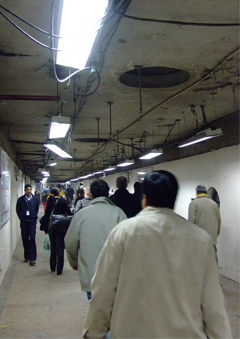 Overcrowded, dirty and literally falling apart at the seams, Delhi’s terminals are full of flies and mosquitoes with an overwhelming odor of bleach and raw sewage. Add in endless lines and disorganization and you’re guaranteed a long and unpleasant experience. With a high chance of planes being hit by handheld ordinance, pilots land on a ‘corkscrew’ approach. This rapid, twisting loss of altitude is stomach churning at best, but still less nerve wracking than driving the ‘highway of death’ that leads into the city. As a gateway to one of the world’s most romantic cities you’d probably expect more than endless queues so disorganized that there is no start and the finish is often at the wrong check-in desk/customs point/boarding gate. This chaos is maintained in the drab interior of a terminal that hasn’t been modernized since the 70s. Despite the millions spent on rebuilding and modernization in recent years, the charm school graduates are few and far between in Kennedy. While immigration staff are notorious for their grim demeanor and rude comments even the staff at ‘Information’ has a hard time even looking in your direction without a scowl on their faces. With the dubious title of one of the world’s most dangerous airports, Lukla is a domestic airport close to Mount Everest base camp. Carved out of the side of a mountain, the 527-meter runway has an incline of 20% and ends with a 700 meter drop to the valley floor. No space for error here! 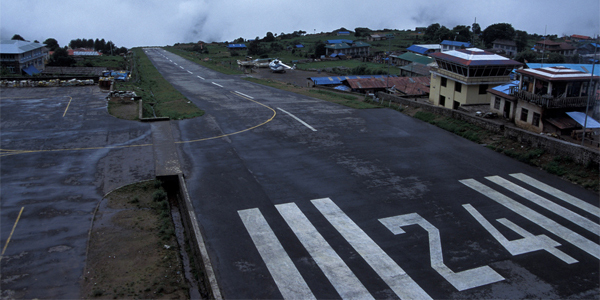 Lukla Airport / Photo by chris1h1. An aging terminal situated practically in the middle of the favelas of Caracas. Simply stepping outside has seen hundreds of travelers robbed or mugged and these are just the lucky ones. Kidnapping, stabbings and shootings have all occurred before passengers have even reached the taxi line. For this pleasure, a whopping $53 airport tax is charged. After battling through a three hour immigration procedure travelers are faced with an ancient terminal that is full of hawkers, touts, drifters and thieves. So many it seems that there is no space for any seating, or toilets, apart from a few select areas. With the departures area opening only two hours before flights, people leaving the city have little escape from the chaos. Voted world’s worst airport to sleep in by a popular website due to huge crime rates, terrible facilities and several travelers witnessing a gang shoot out that killed 7 people. 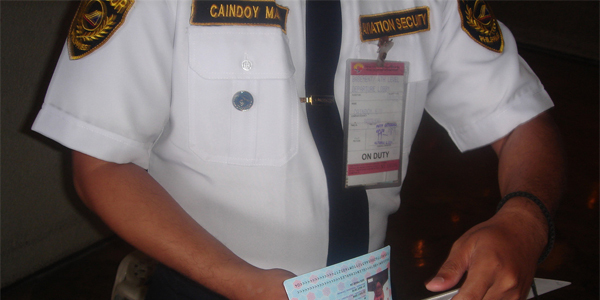 Security Officer in Ninoy Aquiano Airport / Photo by glenmcbethlaw. Watch your bags here, as even the airport employees are out to scam, steal or otherwise take your possessions from you. Many travelers talk of security and other airport staff asking for ‘donations’ (read: bribes) to allow you to pass through the airport ‘without incident’. The only positive side to the airport staff is that they are more desirable than many of the other characters who hang around the terminal. The odor of feces and urine abound in this airport, which no doubt attract the hoards of rats, cockroaches and other bugs that scurry around the departures and arrivals area. The stifling heat of an African summer only adds to the problems of a desperately crowded arrivals area with overflowing toilets. Several travelers have escaped the chaos only to be mugged or beaten on the tarmac.